February is a gloomy time, full of dark skies and sleety snow and grumbles. What better way to cheer up than by making some exciting cupcakes? Just because Valentine’s Day is over doesn’t mean that we can’t make treats for ourselves! 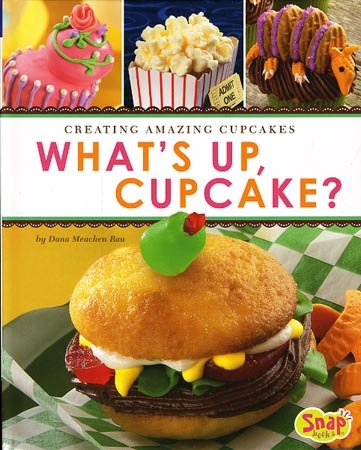 Dana Meachen Rau’s new book, What’s Up Cupcake, offers myriad incredibly creative cupcake decorating ideas (who on earth would have thought of making an armadillo out of peanut-butter-filled sandwich cookies?) that will inspire any child–to either follow the recipe or make up their own designs! Rau, a prolific author of children’s nonfiction, has three other, equally creative and inspiring, books in her Dessert Designers series: Smart Cookie, Piece of Cake, and Eye Candy. Get out your mixing bowls and bake away those winter blues! During the month of February, children learn about the themes of love, sharing, and friendship. 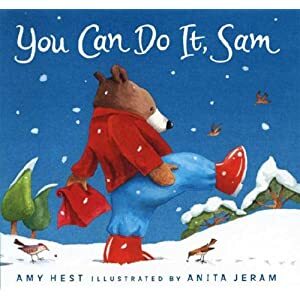 The book, You Can Do It, Sam, touches on all of these topics and is a perfect read aloud for this month. On a cold, snowy morning little Sam and his mother make cakes to share with their neighbors. Sam delivers the cakes all by himself to his friends’ doorsteps, and he is very excited about his accomplishment. After his work is done, there are two cakes left. This is just enough for mama and Sam to each enjoy one with a cup of hot cocoa at home. This sweet story just might inspire you to make some cakes to share with friends! TB—tuberculosis– runs in my family. My father had it during WWII. I had it in the 1970s and my oldest son had it in the 1990s. My father had told me stories of what sounded medieval torture—that masqueraded as medical treatment–when he was a patient in a military sanitorium during the war. He routinely had his lung collapsed by well meaning doctors who would wait awhile for it to re-inflated and then do it again. It must have been ghastly but, that was thought to be the most effective way to affect a cure in those days. Almost thirty years later when I was diagnosed, I had to take three to five pills a day for several years. But luckily, there was no torture. By the time my son was told that he too, had TB, the treatment was down to one pill a day. According to Jim Murphy, Siebert award winning author of Invincible Microbe, our treatments pretty much followed those generally prescribed for our times. 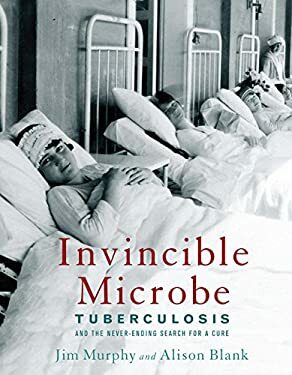 It is a blessing that our story did not start 30 years earlier when most people diagnosed with tuberculosis, or consumption as it was called, did not survive. It may have been interesting but can’t have been pleasant to write about a disease that has been a scourge on humanity. However, as usual, Murphy has done an admirable job taking information that might be little known to the general public and making it so readable, so compelling, that it becomes a topic that you feel you must know about. He doesn’t sugar coat TB with a “that’s all in the past” message. Murphy makes it clear that tuberculosis may have appeared long ago but it’s also very much in the present and in a more robust, difficult to treat version, to boot. At the same time, he’s no pessimist. He includes the details, quotes the experts and manages to make facts and figures read like a masterful suspense novel. TB may be invincible, but Jim Murphy isn’t far behind. Adults may be familiar with Lonely Planet’s travel guides, but this book is definitely written for elementary school-aged children. Organized by continent, the book features 200 countries, or one country per page. Obviously, given that each country only gets one page, the information provided about each country is minimal. This is not the book to check out when planning a trip and hoping to find great deals on hotels and entertainment for the whole family or even an in depth look at a country’s historical, cultural or geographical history. What this book is good for, is to entice children to learn about other countries and spark curiosity for international travel. Each page opens with how to say “hello” in the country it is featuring. The featured country is depicted by maps, illustrations, and beautiful photography. The layout of the pages is not linear so children can scan from pictures to bites of information however they choose. And the information provided is completely kid-appealing facts such as items that were invented in that country, quirky historical events of note and significant holiday celebrations. Fans of the Guinness Book of World Records and DK’s Eyewitness books will love the format. Many children will enjoy learning about the countries featured in the book and spouting out fun-facts about the countries for weeks if you take this book home. Just imagine how you would feel if you wrote one thing, and your pen wrote another! Well, that’s just what happens when you have an obstinate pen. This pen has a mind of its own, AND not only does it write what it wants to write, but it insults people too! You too would probably throw it out the window, and that is what happens in this story. When the pen hits a police officer in the ear, he decides to use it to write a woman a ticket, but instead the pen writes “Kiss that girl!” and continues to insist in a very forceful way that he do so. After he finally decides to follow the pen’s advice, the officer throws the pen away, and it is found by a very fanciful woman. She decides to write her memoir with the pen and instead of writing “I, Mrs. Norkham Pigeon-Smythe, related to the Great King of Farflungdom, have lived a very lush life”, the pen writes “Mrs. Floofy Pants has a spoon up her nose!” WHAT!?? Mrs. Pigeon-Smythe bursts out laughing, and tells everyone she knows about the very precocious and unusual pen. She decides to place the pen under glass in a room, but the pen breaks out. Well what would you do if you were a prisoner with no visitors at all? Finally the pen is picked up by Horace, a young boy who uses it to draw wonderful pictures, and the pen finally lets him. What a clever and unusual story. It is sure to be a crowd pleaser and wonderful read-aloud. Lorelei’s life use to be pretty good, until her mom died. Now her father is remarried to the wicked Molly, her brother has grown cold and distant, and her best friend seems to have abandoned her just when she needs her the most. If that isn’t enough, now Lorelei has to start at a strange new school called Splendid Academy that seemed to appear out of nowhere mere days before the old school suspiciously burned down. Initially, Lorelei thinks Splendid Academy might actually be a good place for her. The principal is extremely welcoming and seems to have a soft spot for Lorelei, the students have a great deal of freedom, the playground is amazing, and the food is to die for. However, Lorelei can’t help but wonder if the school might not be as splendid as it seems. Is it just her imagination, or do all the candy bowls keep replenishing themselves? Why are there candy bowls on the students’ desks, for that matter? Why do the teachers seem so concerned with how much the students are eating? And is that a giant copper kettle hidden in the teachers’ lounge? Only Lorelei and her new friend Andrew seem to think Splendid Academy might be too good to be true and by the time they figure out what really is going on, they may not have a chance to save the other students or themselves. 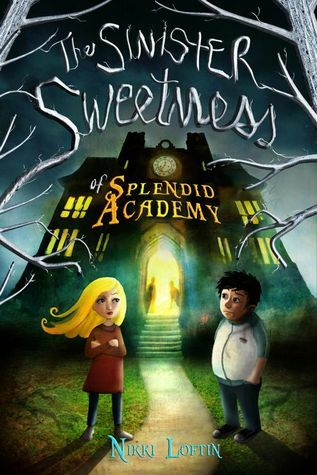 In The Sinister Sweetness of Splendid Academy, author Nikki Loftin puts a contemporary spin on the story of Hansel and Gretel by having the witch run a charter school in suburban America. Loftin does a great job of bringing the classic fairytale elements into the modern world. Similarly to fairytales of old, the story is tense enough to inspire some nail biting, but not so dark as to terrify young readers. 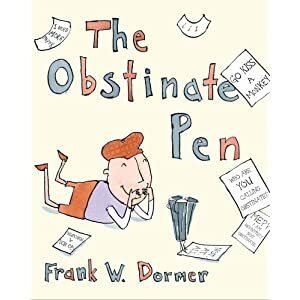 The characters are engaging and relatable and the action develops quickly making this a great choice for a read-aloud for 4th through 6th grade. Like children drawn to a candy cottage, it is easy for readers to be pulled into this modern fairytale. The sun rose. Good morning. On each two page spread, the right side displays the text in large type against a white background, and on the left side is the corresponding illustration. The illustrations in this book are quite special – vivid and striking, they manage to also be detailed while remaining uncluttered. With its simplicity and visual clarity, it is the perfect picture book for babies. Hello Day is not available in board book format, but don’t let that scare you away from sharing it with your favorite baby. Sure, it’s not the book to leave out with the toys, and not the book to let baby chew on (save that for the sturdy board books!). You might keep this book on the bookshelf and share it at a special time. It happened to be the very first hardcover book that I gave to my niece. She was about six months old, and it became the book my sister always read to her before her afternoon nap. As I’m told, when it was time, my sister would pull it off the shelf and Winnie’s eyes would light up. I loved to imagine her delighting in this book, in its bright colors and joyful sounds, in the image of a white horse against a pink sky, sitting in her rocking chair snuggled next to her mom with the afternoon sun streaming in. *Sigh. * Perhaps you will enjoy reading it with a baby in your life, too.